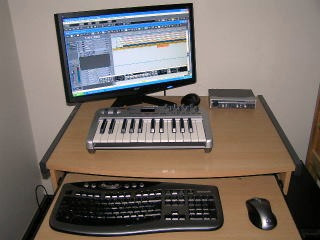 The Home Recording Studio will help you build a studio and record great music. 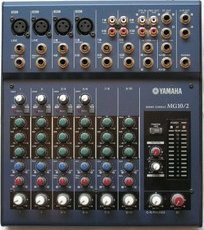 The Home Recording Studio is a website dedicated in bringing the best information about recording music in your home studio. With a computer, microphone and recording software there are no limits to what you can do. 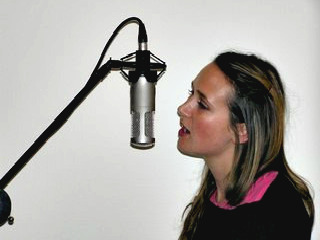 You can record vocals, guitar, piano or any other instrument. Then add drums, bass, backing vocals or what ever you want. You can then add effects, mix it, master it, and then burn it or upload it to the web and do it all with your home computer in your own recording studio. Create Music With The Home Recording Studio. When I first started recording music in my home, I had a reel to reel tape recorder and a microphone. Don't get me wrong as the analogue tape recorder recorded some great music. The mic would record the vocal and guitar at the same time on track 1 then I would record the backing vocal, lead guitar etc. on track 2. (It was a 2 track recorder,stereo/left and right!) I got good results, but it was limited! If I wanted drums, bass or anything else,other musicians had to play and be recorded. 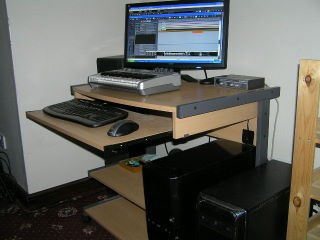 With a home studio, you can have drums, bass, strings, backing vocals and just about anything all done with a computer, microphone and some creativity. You Don't even need a microphone but it does help with creating vocals. If your just starting out or if your a Pro it is my hope that this site helps you create fantastic music in your home studio. Keep writing, playing and recording your music. Keep It Creative in The Home Recording Studio.